Available in 2 sizes, 175mm and 190mm high. 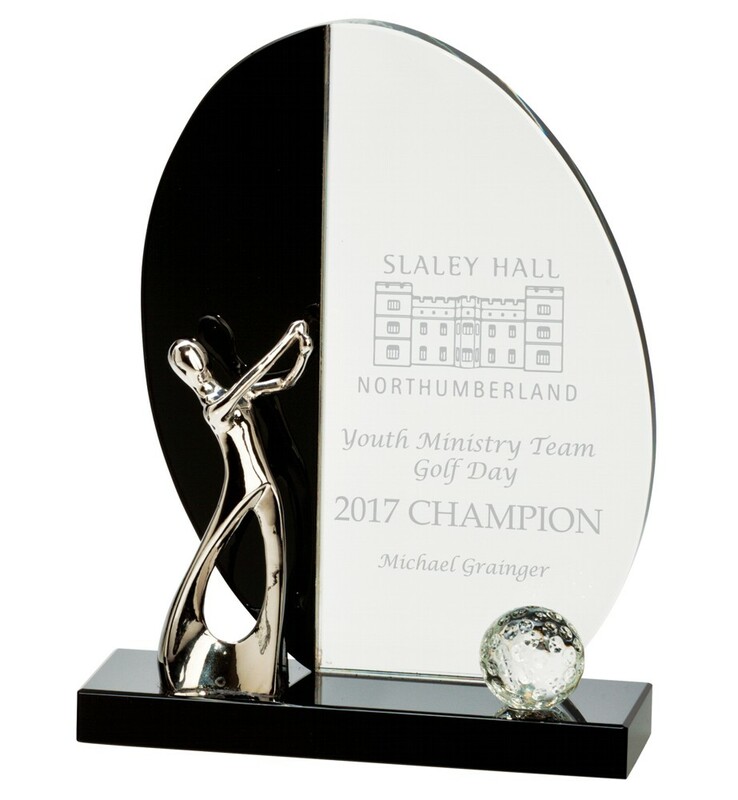 A superb crystal award with a silver golf figure and solid crystal golf ball all mounted onto a black crystal base. Complete in its own presentation box. All glass engraving has an additional charge as shown. You can have your own logo engraved and/or text.